Stones Left Unturned looks at the post-colonial history of Burundi through transitional justice lenses. It describes how repeated cycles of politico-ethnic violence as well as the so-called “remedial” action undertaken in their aftermath have been inspired by the desire to maintain or obtain political power. The book zooms in on the gap between the rhetorical commitment by domestic and international actors to establish a truth and reconciliation commission and a special tribunal and the little achievements made so far. oktober 2010 | xxi + 452 blz. 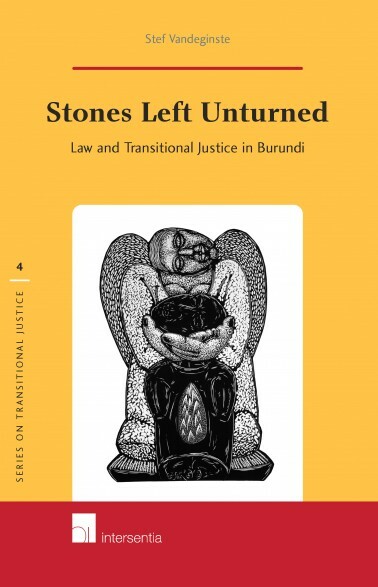 Stones Left Unturned looks at the post-colonial history of Burundi through transitional justice lenses. It describes how repeated cycles of politico-ethnic violence as well as the so-called “remedial” action undertaken in their aftermath have been inspired by the desire to maintain or obtain political power. Throughout Burundi’s negotiated transition from conflict to peace, dealing with the past has been a constant matter of attention. The book zooms in on the gap between the rhetorical commitment by domestic and international actors to establish a truth and reconciliation commission and a special tribunal and the little achievements made so far. The historical account of transitional justice in Burundi is indicative of a fundamental evolution in the conception of law and how it relates to the exercise of political authority. It reveals a growing awareness that neither the process nor the outcome of transitional justice should solely be left to the discretion of the incumbent regime, but that international and constitutional norms impose substantive and procedural barriers. 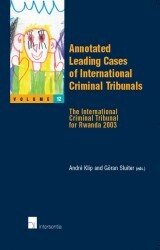 Against the background of Burundi’s obligations under international law, this volume proposes – and at the same time also critically evaluates – the use of constitutional adjudication as a way of incorporating the transitional justice process in a wider effort of promoting the rule of law in Burundi. 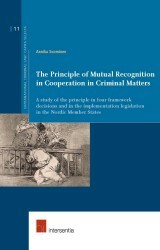 For his doctoral dissertation, on which this book is based, Stef Vandeginste received the 2009 Max van der Stoel Human Rights Award (awarded by the Netherlands School of Human Rights Research). 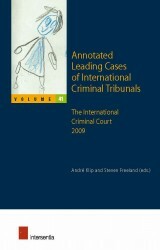 The jury “found this book impressive. It borrows richly from a range of theoretical traditions and combines this with painstaking documentary and fieldwork. The relevance of this book goes well beyond Burundi and provides lessons for research in different disciplines in many so-called transitional contexts” (from the jury report). Stef Vandeginste is a Postdoctoral Fellow of the Research Foundation – Flanders (FWO) at the Faculty of Law of the University of Antwerp (Belgium). He is a research associate of the Centre for the Study of the Great Lakes Region of Africa (Institute of Development Policy and Management, University of Antwerp) and co-editor of the yearbook L’Afrique des Grands Lacs. Countries emerging from long periods of authoritarian rule must often confront a legacy of gross human rights abuses perpetrated over many years. During the past two decades, these age-old issues have been termed “problems of transitional justice”, both by academics and policy makers around the world. 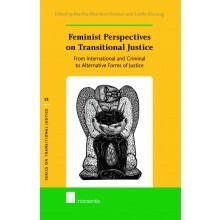 Given the frequency with which these problems arise, as well as the complexity of the issues involved, it is striking that no book series has taken the issue of transitional justice as its point of focus. The Series on Transitional Justice offers a platform for high-quality research within the rapidly growing field of transitional justice. This research is, of necessity, inter-disciplinary in nature, drawing from disciplines such as law, political science, history, sociology, criminology, anthropology and psychology, as well as from various specialised fields of study such as human rights, victimology and peace studies. It is furthermore international in outlook, drawing on the knowledge and experience of academics and other specialists in many different regions of the world. The series is aimed at a variety of audiences who are either working or interested in fields such as crime and justice; human rights; humanitarian law and human security; conflict resolution and peace building. These audiences may include academics, researchers, students, policy makers, practitioners, non-governmental organisations and the media. 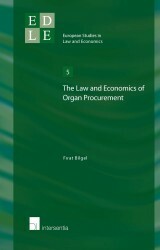 With a subscription to the series you enjoy a 15% discount on each volume.